May 4, 2012 - Thank you to everyone who has been visiting. I plan to update weekly now so be sure to check back every Monday for a new crazy cute character! 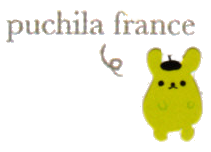 Requests are very welcome and so far Mamegoma, Rilakkuma, and Nyan Nyan Nyanko have been requested and are in the process.... please be patient as there is a lot of information about them! Please keep spreading the word about the cuteness of San-X!!! 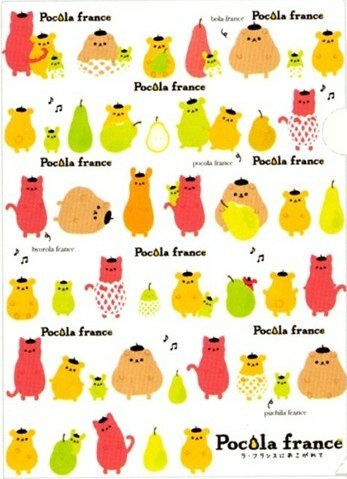 Here we are with some cute French pear animals that have little beret hats as the stems! How cute! 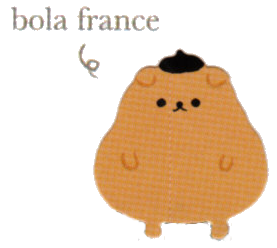 They are based on the "La France" pears, which are apparently some European pears popular in Japan. Their story just ends in mid-sentence, perhaps to follow with whatever you might want to imagine. 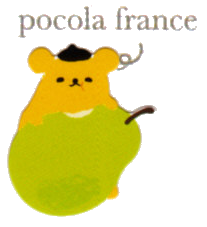 "Poco" means little, small, or short in Italian. "Bo" could be for "坊や" which is used for a boy and usually to ridicule or to show affection. So it's a bit of a stretch, but it could be translated as "chubby" to follow the patter of their names based on their appearance. 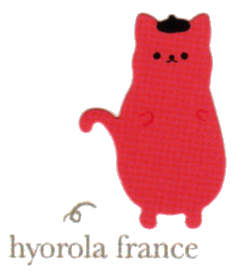 "Hyoro" means tall and thin.